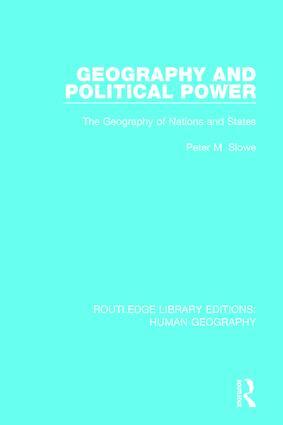 Focusing on the relationship between geography and power, this book, originally published in 1990, isolates five sources of political power – might, right, nationhood, legality and legitimacy – and demonstrtes the centrality of geography to the argument of each case. The author stresses the value of geographical expertise to political decision-making and illustrates this through the use of case—studies. His analysis of the sources of power goes deep into an understanding of politics and explores the implications for geography of political thought. 1. Power Through Might 2. Power through Right 3. Power Through Nationhood 4. Power Through Legality 5. Power Through Legitimacy.